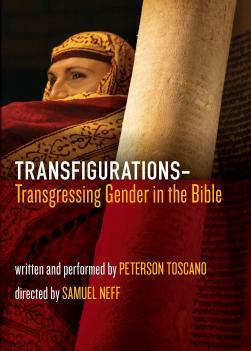 We are showing the 2017 film, Transfigurations—Transgressing Gender in the Bible – written and performed by Peterson Toscano; directed by Samuel Neff – as the November monthly meeting’s program. ~ Scott Turner Scofield, Transgender actor, artist, solo performer & diversity speaker. More about: Transfigurations, the movie. Order the film from Barclay Press.